Venetoclax is a selective B cell lymphoma-2 inhibitor. It is approved for treatment of chronic lymphocytic leukemia and is being investigated for other hematological malignancies. Venetoclax is predominantly eliminated by the liver; therefore, there is a need to investigate the effect of hepatic insufficiency on venetoclax pharmacokinetics. A phase I study was carried out in 24 women with normal hepatic function or mild, moderate, or severe hepatic impairment (based on Child–Pugh scores), who received a single 50 mg dose of venetoclax with a low-fat meal. Blood samples were collected up to 120 h after venetoclax administration. 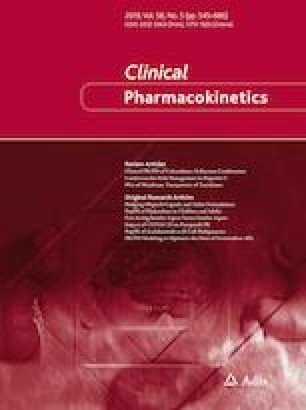 Pharmacokinetic parameters were estimated using non-compartmental methods. Venetoclax maximum observed plasma concentration (Cmax) and area under the plasma concentration–time curve (AUC) in subjects with mild or moderate hepatic impairment were similar to subjects with normal hepatic function. Mean venetoclax AUC in subjects with severe hepatic impairment was 2.3- to 2.7-fold higher than in subjects with normal hepatic function. The half-life of venetoclax in subjects with severe hepatic impairment was approximately two-fold longer than in subjects with normal hepatic function and subjects with mild or moderate hepatic impairment. Unbound fractions of venetoclax in subjects with mild, moderate, and severe hepatic impairment were similar to the subjects with normal hepatic function. No significant adverse safety events were reported. No venetoclax dosage adjustment is required in subjects with mild or moderate hepatic impairment. In subjects with severe hepatic impairment, a 50% dose reduction of venetoclax is recommended to account for higher exposures and the longer half-life. The authors thank Mia DeFino, MS, a freelance medical writer under contract with AbbVie, for medical writing support. Ahmed Hamed Salem, Nimita Dave, Beibei Hu, Suresh K. Agarwal, Orlando F. Bueno, and Rajeev M. Menon are/were employees of AbbVie and may hold AbbVie stock or stock options. Thomas Marbury is an employee and equity owner of Orlando Clinical Research Center. Dale Miles is an employee of Genentech and may hold Genentech stock or stock options. Venetoclax is being developed in collaboration between AbbVie and Genentech/Roche. The study was sponsored by AbbVie and Genentech/Roche. AbbVie and Genentech/Roche contributed to the study design, research, and interpretation of data, and the writing, reviewing, and approving of the publication. EMC. Venclyxto film-coated tablets. EMC. 2018. https://www.medicines.org.uk/emc/product/2267. Accessed 11 Oct 2018.